The big picture presented in Southeast Asia: A Very Short Introduction arises from years of personal experience. I have been living in Southeast Asia intermittently as well as studying, teaching, and writing about it for fifty years. Through my wife of many years, Sunny, I am part of a large Southeast Asian Filipino family. To speak of the region’s “hills and plains,” its “kingdoms, colonies, and nations,” and its mind-boggling diversity and deep social structures, as I do in this book, comes naturally to me now. But in early 1968, I found myself in Southeast Asia for the first time. My (first) wife Jane and I were Peace Corps volunteers in Betong, a small town situated along the Saribas River in the Malaysian state of Sarawak, on the island of Borneo. Despite some advance Peace Corps training, the world of Betong was altogether strange to me. Rambutans and papayas grew in our yard. Great flocks of fruit bats filled the skies at twilight. I was twenty-three and wide-eyed. To my surprise, Betong itself was almost wholly a Chinese town: an open square was lined with rudimentary Chinese “shophouses” and surrounded by the outlying orchards, truck farms, and pepper gardens of Chinese families. A short distance away, however, stood a village of rice paddies and fruit and vegetable gardens occupied by Malays, some of whom were town functionaries. And somewhat further away were the hill farms and longhouses of the Ibans, indigenous hill peoples. We were assigned to St. Augustine’s Secondary School on the outskirts of town and lived there amid other faculty members; a few hundred Iban, Malay, and Chinese students who lodged in the school’s dorms; and a British headmaster. The entire town and its immediate environs comprised some two thousand people. Until just the year before, Betong’s links to the outside world had been limited to boats that plied regularly between the town and Sarawak’s capital, Kuching, a hub leading to Singapore. But a dirt road had now been cut through, rendering the town accessible to Kuching and other towns by way of bone-jarring trips by buses, cars, and trucks—although there were not many of them. Even so, Betong still felt remote. Yet it was also amazingly cosmopolitan. More than half a dozen languages were spoken there, including Iban, Malay, English, and four dialects of Chinese. Two Indian families also lived in the bazaar (they sold textiles and spices), plus a family of Portuguese descent, not to mention two Anglican priests, Aussies. It was here in Betong, in a haze of newness, that I first encountered the “Southeast Asia” depicted in this short book. Betong lay on the very cusp of Borneo’s hills and plains. Upriver were forested hills and the patchwork, slash-and-burn farms of the Iban, who built their longhouses along clear, fast-running montane rivers that flowed downstream and, in the area around Betong, merged with the brown, slow-moving, tidal Saribas. Downriver were Malay communities of famers and fisherfolk whose small villages and one or two small towns dotted the riverside all the way to the South China Sea. My students came from both directions to board and study alongside local students at St. Augustine’s, where, aside from teaching history and English, I was also the boardinghouse master. St. Augustine’s, it will be obvious, was part of a colonial project. The Saribas River watershed had once fallen within the sway of a great mandala kingdom based in Brunei, where a Malay sultan ruled. In the nineteenth century, a British adventurer named James Brooke (1803–1868) had established a private kingdom there. He ruled Sarawak as “the White Rajah.” It was around Brooke’s outpost at Betong, Fort Lily, that the town originally grew, as local Malays and Chinese migrants clustered around and settled. By the 1920s, there were Anglican missionaries, a church, and a school. A community of Christian Ibans formed amid ambient communities of Malay Muslims, Chinese Buddhist-Confucian religionists, and unconverted Iban animists. Polyglot Betong thus developed under British sway—under three generations of Brookes and, following Japanese occupation in World War II, as a British crown colony. This accounts for the fact that Betong became part of Malaysia in 1963, after Britain amalgamated its residual colonial territories in maritime Southeast Asia into this wholly novel nation state. Inadvertently, my students had become Malaysians. In 1968, many elements of Betong’s colonial past lingered on. The now public St. Augustine’s Secondary School was led by a British headmaster and followed the English-language Cambridge syllabus, as many Commonwealth countries did. Several of its faculty members had been recruited from India, another former British colony. The local Anglican priests were from Australia, not to mention the various aid and development advisers who passed through, who were also Anglos of one sort or another. Americans were still something of a novelty, yet welcome ones as messengers from a wider world that students were awakening to. One of my Iban students had named himself Elvis. “You’re from America, yes? Do you know him?” he wanted to know. It was in Betong that I first encountered Ramadan, as our Malay students fasted through the long hot days of the season and gathered in St. Augustine’s common room to eat, pray, and socialize happily at sundown. It was there I first traveled upriver by foot and longboat to visit the longhouses of Iban students and to witness the majesty of Borneo’s old-growth forests, today largely overtaken by logging and agribusiness. And it was in Betong that I first encountered the enterprise and multifaceted roles of Chinese migrants in Southeast Asia. I learned later that the role of the Chinese in Betong was not unique. Indeed, it was typical throughout Malaysia and Southeast Asia. 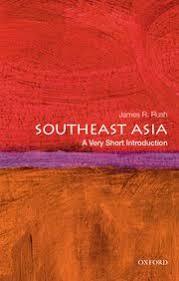 This is why it is a key theme in Southeast Asia: A Very Short Introduction, alongside many others that my youthful stay in Betong first revealed to me. These days, I see Betong through the haze of the past. (Looking back after fifty years, I realize now that Ah Fong probably wasn’t all that elderly.) I have never returned. But via Google Earth, I see that the quasi-frontier town I once knew now sprawls in many directions. There are half a dozen schools there, including St. Augustine’s, now a government middle school. The once compact Chinese bazaar has spread in all directions. There are hotels, a food court, a Super Save, and something called SugarBun@Betong. Cars crowd the streets and Betong’s new middle-class suburbs. Not far away are vast palm oil plantations. Betong is no different from every other place in Southeast Asia today. It is rooted in its past—Fort Lily attracts tourists—and at the same time wholly of the present and evolving in concert with the same forces of globalization that, for better or worse, we all are. Details: Southeast Asia: A Very Short Introduction is published by OUP in paperback. Priced in local currencies.